The Big Fish Little Fish crew bring their award-winning, critically acclaimed family rave to Farnham. Live DJ Little Chief (Bestival) will be playing rave classics and up for it party music with club visuals, glitter cannon, bubbles and topped off with the famous parachute dance. 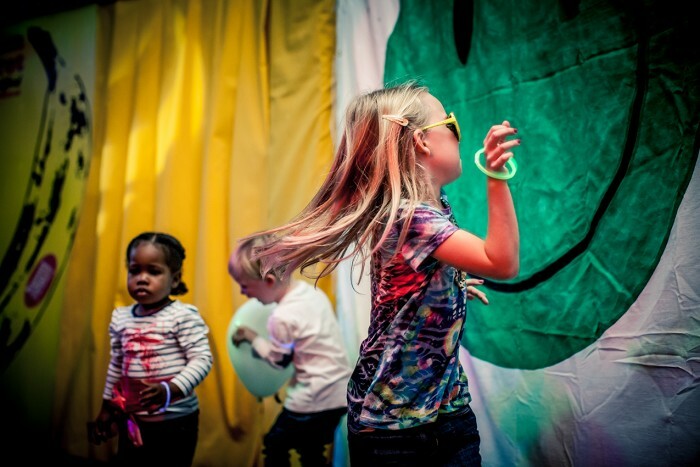 The Happy Monkey craft area run by Captain Cookie has spooky themed crafting, mural and playdoh to help entertain and there will be a separate Villa Pia baby chillout and toddler play area to take a rest from the rave action. Free glowsticks, transfer tattoos and Happy Monkey smoothies to take away.